Why should you use Shade Sails if you reside in Sunshine Coast, Queensland? 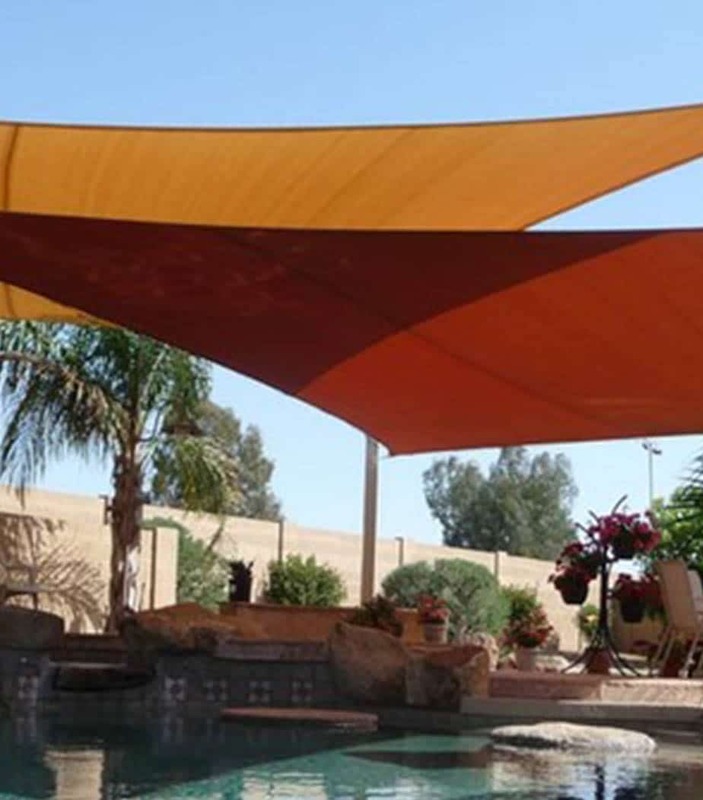 Our shade sails are aesthetically pleasing and can extend on your work, home or play areas while providing protection from harmful UV Rays and excessive heat. By using a quality shade sail, almost no harmful UV rays can penetrate the fabric, keeping your skin protected from sun damage such as sunburn and skin cancer no matter what time of day it is or how extreme the heat. Shade Sails can provide extended enjoyment to play areas and recreation areas by ensuring that you can make the most of the outdoors in the sub-tropical climate of the Sunshine Coast. Our shade sails are available in customised shapes and sizes to suit your specifications and our professional instillation team will ensure that the correct placement of the shade sail is selected to compliment your property and provide optimal sun protection. Our shade sails create the opportunity to enjoy the outdoor areas of your property in the comfort and safety of cooler ambient temperatures while providing protection from harmful UV rays often associated with the Sunshine Coast. They can also offer significant protection from Mother Nature’s more destructive forces such as hail and driving rain making them the ideal protective cover. Not only do our shade sails offer protection and reduce the heat underneath them, they are often a worthwhile investment to your home adding value and appeal. Our shade Sails are available in a variety of stylish shades and colours that can compliment any property. The versatility and attractiveness of shade sails is increased when you view the choice of colours available. You can choose to blend them into their surroundings or make a style statement. Our shade sails come with a 10 year UV warranty ensuring vital protection for you and your family from the harsh rays of the sun. Our shade Sails are not just a purchase, but a long-term investment that will last for many years to come. Our shade sails are one of the most cost effective and unobtrusive ways to cover large outdoor areas, including outdoor entertaining areas or a children’s playground. Requiring little maintenance our shade sails are very durable and can be custom fit to suit any purpose and cover any size area.